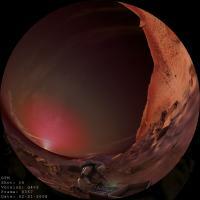 The Traveler’s Guide to Mars is a 20-minute dome show produced for the Carnegie Science Center. I provided 3d modeling, texturing, and compositing as well as project management and a couple of pipeline tools to help support the thousands of frames of animation produced by our team. Rich, informational traveler’s guide brought to life on Buhl Planetarium’s 50-foot digital dome projection system. A Traveler’s Guide to Mars was initiated by The Buhl Planetarium at the Carnegie Science Center in Pittsburgh, PA. Home Run Pictures, with a rich history of planetarium projects took the lead on production of Animated and CG elements. Home Run Pictures brought Cinemanix on to the project to handle many of the technically challenging aspects. Based upon the guide book (of the same title) by William K. Hartmann, the audience takes a tour of the mysterious landscapes of the Red Planet with a team of astronaut surveyors. Cinemanix spent about three months working through the challenges of rendering multi-pass 2048 × 2048 image sequences for a dome environment, while simultaneously developing the design, action and style for the 8 minutes of animation. Most of the sequences included character animation and motion capture was used extensively to bring the astronauts to life. 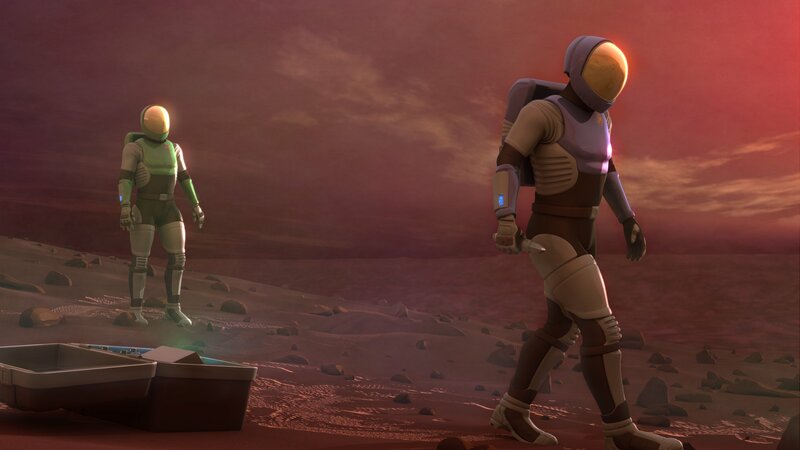 Props and sets that the astronauts interacted with on our virtual Mars, were closely matched with real-life objects to make sure that the astronauts had realistic weight and timing. The astronaut design was influenced by concepts from MIT’s Man Vehicle Laboratory as well as artistic direction and specific technical needs of the animation department. Our intent was to have an impressive, futuristic suit for the astronauts that had a firm grounding in reality but could still offer a full range of motion. 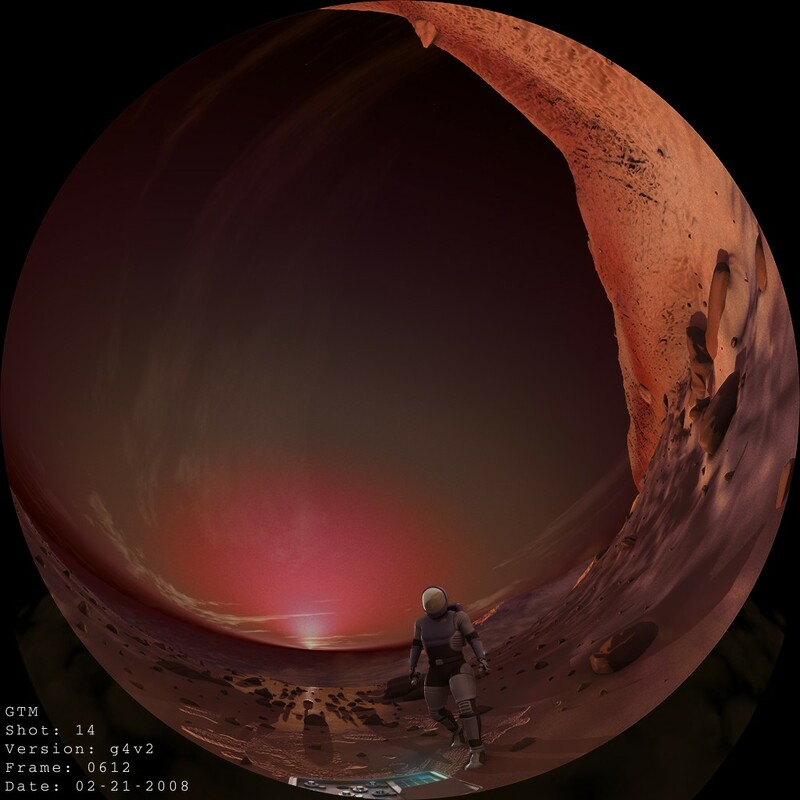 Full 3D environments were created using NASA MOLA (Mars Orbital Laser Data) data, actual scans of the Martian surface taken from orbit, and Global Mapper Software were used to convert the scan data to usable meshes in Softimage|XSI. This data was then given a bold look with Matte Painting Techniques and Procedurally Generated improvements with the help of tools like Planetside’s Terragen 2 and Adobe’s Photoshop. Lighting direction and overall color palettes were geared towards sunrise and sunset due to the specific nature of the dome. In order to compensate for the dome’s unique reflective and luminance characteristics, saturation, contrast and brightness all had to be manipulated specifically for the dome, which has a tendency to be overwhelmingly bright, and get washed out. Softimage|XSI, Mental Ray and Apple’s Shake allowed us to render an elaborate pass structure enabling full control over the scene during color-correction at the dome. This also allowed us to employ re-lighting and other techniques which helped enhance the final look of the shots.